Providing you the best range of Pressure Fryer with effective & timely delivery. 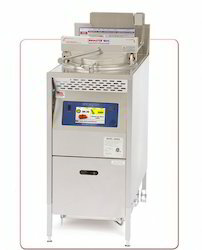 We have commenced the business operations as leading names of Pressure Fryer. 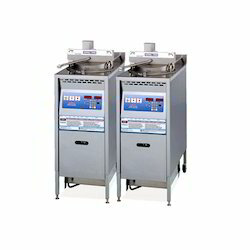 These fryers are used in various hotels, restaurants and food courts to fry chicken, fish, meat, vegetable and chips. Ourpressure fryer is designed at our sound manufacturing unit from best quality materials, in complete adherence with quality standards. Furthermore, our clients can avail this pressure fryer from us at a reasonable price. Better product. Lower operating costs.